We all know what helps us to relax and wind down after a long day, or what rituals we have before bed to prepare ourselves for some restful sleep… It could be deep breathing, taking a bath, reading a book, dimming the lights, turning off our phones and computers, or sipping on a cup of herbal tea. 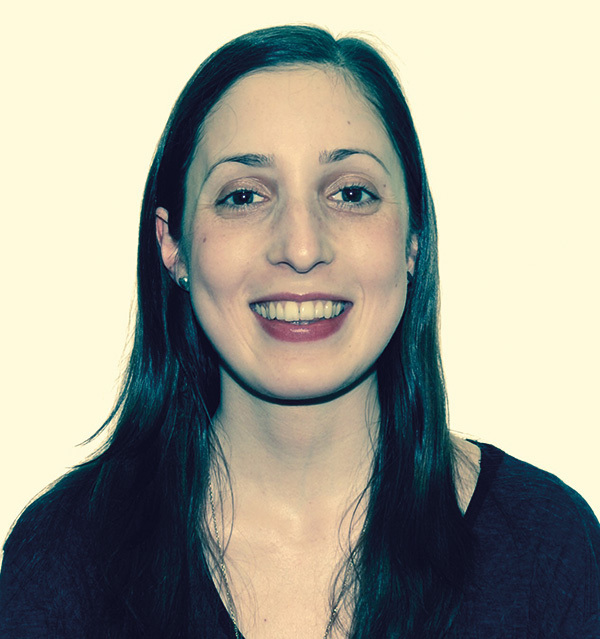 Our lifestyle and daily actions have an effect on how we feel, but what also has a great impact on our wellbeing and relaxation is food because its nutrients can positively affect our mood, stress levels or whether we get a good night’s sleep. There are some main vitamins, minerals and amino acids that can be found in food that aid sleep and relaxation, which are tryptophan, magnesium, calcium, and B6. The body uses tryptophan (an essential amino acid) to produce serotonin, the so called ‘feel good hormone’ that helps relieve feelings of depression and anxiety. This is then used to make melatonin, our ‘sleep hormone’ that is responsible for regulating your circadian rhythm (sleep/wake patterns). Magnesium is a powerful mineral that is instrumental in sleep and is a natural relaxant that helps deactivate adrenaline. A lack of magnesium can be directly linked to difficulty in falling, and staying, asleep. Calcium is another mineral that helps the brain make melatonin. A lack of calcium in your diet can cause you to wake up in the middle of the night and have difficulty returning to sleep. Vitamin B6 also helps convert tryptophan into melatonin. A deficiency in B6 has been linked with lowered serotonin levels, poor sleep, symptoms of depression and mood disorders, which can lead to insomnia. It’s really important to include a variety of foods that contain all of these essential nutrients in your daily diet to feel at your best during the day and rest properly during the night. Opposite and over the page are some of the best ingredients for you to try out. Almonds contain magnesium, which promotes both sleep and muscle relaxation and they have the added benefit of supplying proteins that can help maintain stable blood sugar levels while sleeping (which means that you won’t wake up during the night). They also contain tryptophan, which is fundamental in supporting serotonin production. 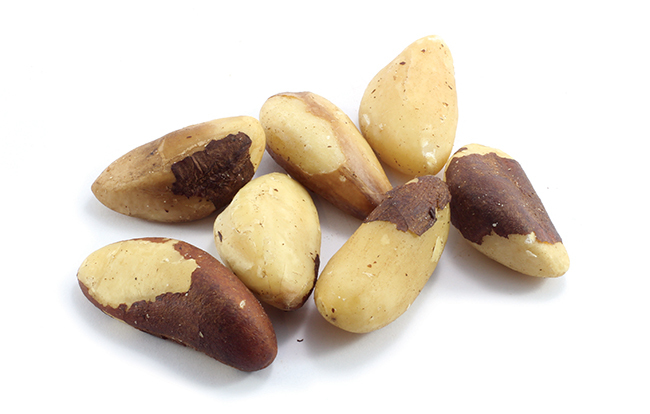 A deficiency in selenium has been linked to increased anxiety, depression and fatigue and brazil nuts are especially high in this mineral. You just need a couple a day to keep the stress away and promote feelings of calmness. Try both as a bedtime snack. Have a tablespoon of almond/brazil nut butter or a few whole nuts to help your body relax and pair them with a banana, which contains complex carbohydrates that help absorb the tryptophan. Or heat up a cup of almond milk and add some soothing and warming spices like cinnamon. Tart cherries are a natural source of melatonin, which as we’ve seen helps to regulate the sleep-wake cycle. 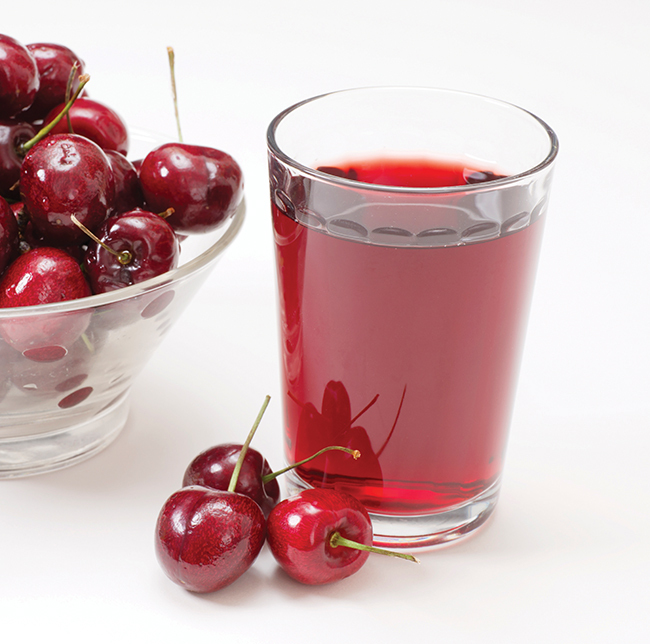 Drinking one or two cups of cherry juice during the day can have sleep enhancing properties, making it less difficult to fall asleep and prolonging sleep time. But it’s not just their melatonin content that makes them special – the components of some tart cherries help to increase the availability of tryptophan by inhibiting an enzyme that promotes its degradation. You could use the juice as a base for smoothies or add some to your morning porridge to give it a delicious flavour and great colour. And why not blend some with your plant-based milk of choice and have it warm after dinner or before bed? This plant has been traditionally recommended for anxiety, stress and sleep. Most of us are familiar with chamomile as a soothing tea that promotes relaxation and feelings of light drowsiness at bedtime. 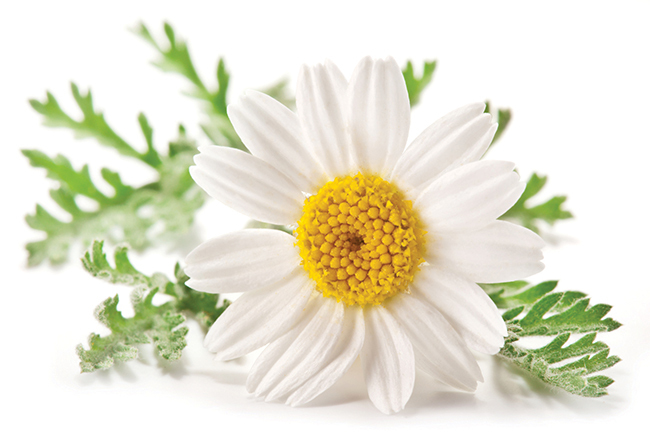 Chamomile also has great anti-inflammatory properties and may promote sleep by helping to reduce inflammation associated with seasonal allergies or cold symptoms. You can of course drink it as an infusion, but also place the dried flowers in a small tissue bag mixed with lavender and put it under your pillow to ease yourself to sleep. Because whole grains like brown rice, rye or oats are made of complex carbohydrates, they stimulate the release of insulin. This helps sleep inducing amino acids like tryptophan to enter the brain and produce sleep inducing and relaxing hormones like serotonin and melatonin for the winding down of the brain and the nervous system. The result is a sound sleep, or at least starting to feel relaxed and calm. You have probably noticed that after a meal with a slightly higher whole grains content you start to have a sensation of sleepiness and drowsiness. In addition, oats are rich in vitamin B6, which has anti-stress properties, and melatonin. Have rice with your dinner or a slice of rye bread with a warming soup and if you get the craving for something sweet, why not have a little bit of porridge with cinnamon and a drizzle of maple syrup… It tastes just like pancakes! Vegetables such as spinach, kale and chard and herbs like parsley, mint and coriander are excellent for improving the body’s response to stress and helping internal systems to function optimally. They’re sources of various vitamins (A, C, E and K) and minerals like calcium, potassium, iron and magnesium. Magnesium helps to keep our nerves and muscles relaxed. We also depend on magnesium to prevent our nerves from becoming overexcited and its deficiency can lead to muscle tension, cramps and fatigue. Add these leafy greens to your smoothies, salads, soups, juices. Aim to have a handful each day to get their full benefits. Cacao is extremely helpful in reducing stress levels in the brain as it’s very rich in tryptophan, which helps manufacture serotonin, the relaxing and ‘feel good’ hormone. It is also known to boost the endorphin and dopamine levels in the brain that result in enhanced mood. 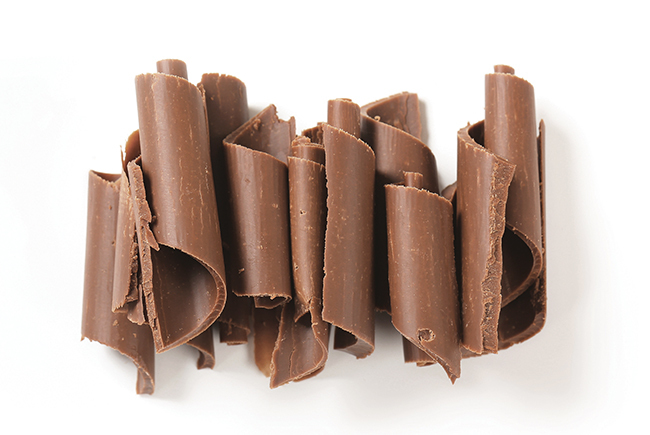 Dark chocolate and cacao also contain good levels of magnesium. When buying, choose raw chocolate that preserves all its nutrients, or one that is high in cocoa solid but low in sugar to get the maximum benefits without the sugar crash. Munch on a couple of squares during the day and use the powder to make a spiced hot chocolate to keep warm and cozy during winter or add a couple of tablespoons to your favourite breakfast creation to start your day with a chocolate hit. Be aware that cacao also contains caffeine, so it may adversely affect you before bed or during the evenings, giving you too much energy. Experiment and see if you’re sensitive to it or not. This herb works as a mild sedative that relieves anxiety and enhances the mood. It does so by increasing the amount of a chemical called gamma aminobutyric acid (GABA) in the brain. GABA helps regulate nerve cells and calms anxiety. It’s especially good if you’re having difficulty sleeping and getting overwhelmed. 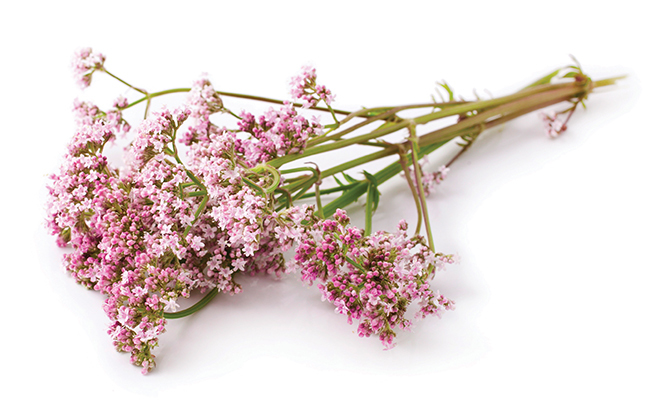 Valerian reduces the time it takes to fall asleep and improves the quality of sleep and unlike many prescription sleeping aids, it has fewer side effects. You’ll often find it combined with other sedating herbs, such as hops and lemon balm, either in a tincture or tea form. It may take a few weeks to exert its full effects as the body is getting used to it, so allow a bit of time to see the results. 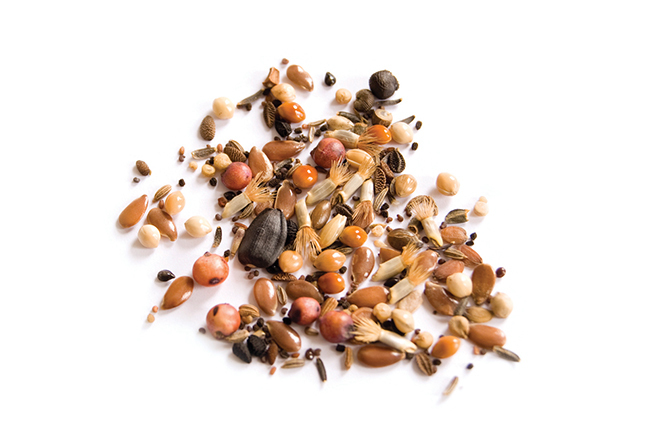 Seeds, much like nuts, are rich in magnesium, selenium, zinc, vitamin E and B vitamins that help relax the brain and the body. 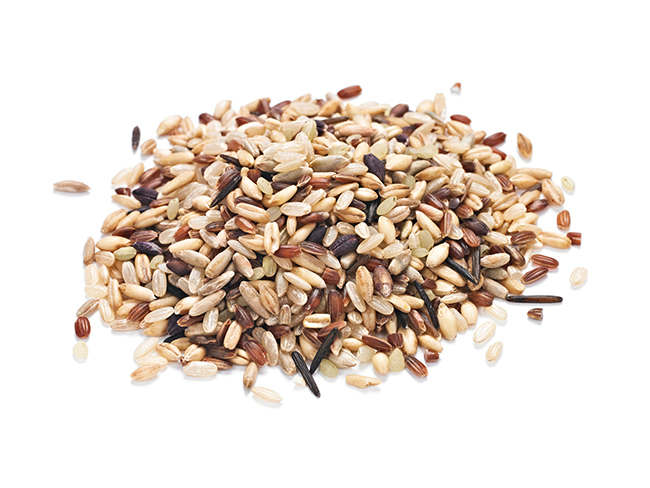 And certain seeds like sesame, chia and pumpkin are very rich in tryptophan. Pumpkin seeds also contain zinc, which can assist the brain in converting tryptophan into serotonin. Try drinking a glass of pumpkin seed milk before bed, or snack on a chia pudding topped with some bananas and tahini. Flax seeds increase levels of sleep regulating serotonin due to their high levels of both tryptophan and magnesium. The omega-3 fatty acids they contain have been proven to help reduce anxiety and stress too. Hemp seeds are also great, not only for their high mineral content including magnesium, but also for their protein content, which helps balance blood sugar levels. These colourful veggies are made of complex carbohydrate and contain high levels of vitamins A, C, and B. 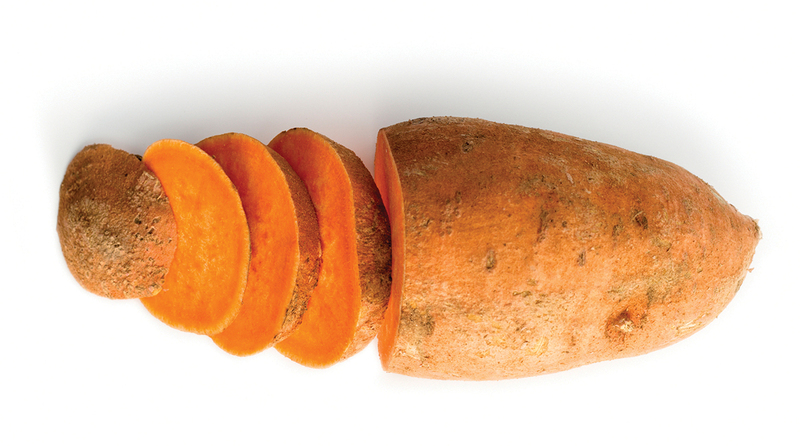 Sweet potatoes are another nutritional powerhouse that can help calm your nerves and eliminate stress. They are high in potassium, which helps to lower blood pressure and is known to help relax muscles, calm the nerves and balance cognitive function. They’re also rich in vitamin B6, an essential nutrient, and magnesium, which is necessary for healthy bone, heart, muscle, and nerve function. Plus they don’t produce big sugar spikes like regular potatoes, and keeping blood sugar balanced is important for stress. Have them roasted with a drizzle of tahini. Bananas are well known as a source of potassium and fibre, but they also contain magnesium, vitamin B6, and other nutrients that promote feelings of happiness and calm. Eating bananas aids the production of serotonin and melatonin and both potassium and magnesium are muscle relaxants – relaxed muscles encourage the entire body to relax, so this fruit is great in easing physical and psychological stress. 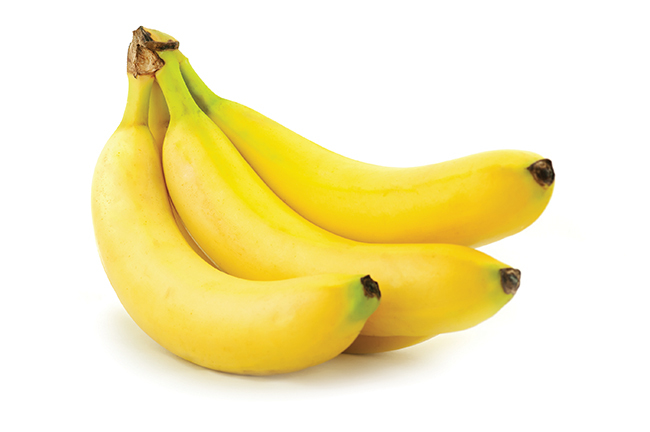 Bananas also contain tryptophan, which promotes serotonin release in the brain. Snack on them on their own or pair them with nut butters and tahini. Alternatively, mix them into your smoothies or add them to your morning oats or plant-based yoghurt. Try blending a banana with a bit of water and gently warming up this ‘banana milk’ with a pinch of cinnamon and vanilla… A combination that is truly delicious and soothing before bed.